This simple observation is interesting in several respects, one of which is that as a journalist, O’Toole, while evidently realising its existence, fails to identify this same porous border in the case of his industry, the media, the one’s hysterically running around the deck reassuring everyone that would listen that the sinking ship was buoyant. Given the vitriolic nature of Mr Kevin Myers’ media musings it’s interesting to note that when it comes to Kevin himself the Indo is apparently sensitive about protecting his finer feelings. I popped a response off yesterday to yet another remarkably silly article by Myers – this time about the role of the Catholic church in schools. The letter is in today’s paper and can be read here. I don’t remember the exact form of words that I used in a sentence that has been edited out at the end of the letter but I know that it conveyed that Kevin’s preoccupation with attracting attention to himself by straining to be offensive about people was becoming increasingly tedious. But it was too much for the Indo and/or for Myers to bear having that said about him publicly, apparently. Meanwhile Myers himself is free to lash out as unpleasantly as he can manage at all and sundry. Along with many others, I challenged the Deputy Editor, Frank Coughlan, about the racism of one of Myers’ columns in 2008 and in which I believe he referred to Africans as ‘perpetually tumescent indigents’. Coughlan’s response was to say that no matter how much he might disagree with Myers (and he didn’t say whether he disagreed or not) he would defend Kevin’s right to have his views published. Even so, the article appears now to have been taken down and it certainly drew a ferociously critical response at the time. Myers was still festering with rage about the reaction a year later – and quite unrepentant. Excuse me. Just what on earth are we doing, continuing to sponsor, subsidise, promote, encourage and reward population growth at such catastrophic levels? What will we get, but only tens of millions more Ethiopians expecting us to feed them? Then scores of millions; then hundreds of millions. Though of course, at some stage, sooner or later, we shall stop feeding them, simply because. . . oh, just because. When I wrote on this subject last year, I was subjected to a criminal investigation by An Garda Siochana, one half-witted prig in the ‘Irish Daily Mail’ virtually compared me with Eichmann, and the Press Council said my remarks were “offensive to Africans in Ireland”. Ah, the poor dears. For a columnist and a newspaper who can so determinedly defend such vile talk about an entire continent, surely a complaint about Myers-inflicted tedium from a Clonakilty housewife ought not to be too much for their censors? Did his voters freeze George Lee out? There’s another angle on the George Lee saga that is as interesting to media watchers as any consideration of whether he was ‘frozen out’ of Fine Gael or was a victim of his own ego. Let’s put aside too whether Enda Kenny wasted a brilliant talent or had simply expected Lee to take a little time to settle into politics before promoting him to greater things. Screeching out to be remarked upon is the reaction of the media pundits themselves – the pol corrs, the columnists and the editors. We’ve tried before to highlight the ‘revolving door’ that exists between journalism, politics and big business and how that affects the prism through which journalists view their work. We have argued – and George Lee is as good an example as any of the many of whom it is true – that journalists come to be integral players in the establishment rather than the independent, detached observers on the side they so defensively claim to be. They write for the establishment rather than about it – even when they are being critical of it. By becoming a TD, George Lee was only giving material expression to a state of mind that is shared by almost all of his media colleagues. A relatively able man who arguably might have done some interesting and useful things suddenly resigned from a short career in politics. This would ordinarly have caused something of a stir and to be sure there would have been media speculation about what lay behind it and what might flow from it. On this occasion however, the man in question was one of the media’s own. He was moreover a news media celebrity politician. Lee was in all probability more celebrated among the media themselves than among the majority of the public who on any given day can hear the type and quality of opinion George Lee was offering from many different people and sources. If the public had been asked a year ago which media personalities would best be suited to a life in politics, Lee’s name would surely have been just one among many possible candidates. Like many a would-be politician before him Lee claimed the best of motives for wanting to go into politics. It’s true too that there are not too many politicians in Ireland who were ever motivated by altruistic ideals, politics being more a matter of political family dynasties and self-interested patronage here than in other comparable countries. So fair enough, George Lee was striking out for something that too many of our politicians are not interested in. But he was by no means unique – either as a matter of principle or of talent. Certainly not within the political system itself or – even more importantly – among the huge number of political and social activists of all political shades all over the country whose contribution to public life ordinarly goes scarcely remarked by the mainstream media, such is their incestuous preoccupation with themselves and their role at the tip of the establishment. That oversight was never more apparent than in the eruption of offended, empathetic dismay among his former media colleagues when they heard Lee’s tale of woe. George’s pain was theirs. The prominence given to the story has been staggering. There has been a ‘media frenzy’ from the moment he announced his decision. Many journalists clearly believed in the idea that somehow George Lee had been going to make all the difference to, well, everything. David McWilliams rode firmly to his defence on twitter on that theme – as if the loss of this one person from politics was a defeat for everyone working to put an end to what McWilliams rightly calls ‘sleeveenism’ and all that goes with it. What about the political snubs and slights routinely extended to many people who find the media rarely more than luke warm about bothering at all to report their plight? Even the decimating of the Equality Authority resulted in fewer column inches than George Lee’s departure from politics. Surely that is indicative of something being badly wrong with media priorities? ‘Office politics snuffed out Fine Gael’s brightest star’ ran the headline over McWilliams column in The Independent on 10th February. The colum is both a paean to Lee’s skills and abilities as perceived by McWilliams as much as it is a revelation of what it is McWilliams thinks a journalist could rightly do for politics. He refers indirectly to the result of the notorious Liveline poll which gave Lee an 83% support rating for his decision to leave. McWilliams surely knows fine well that this figure only represents a percentage of the minority of viewers who could be bothered to phone in. It is in no way a reliable figure. Still McWilliams has it that George knows what the ‘mammies’ and ‘aunties’ (!) of Ireland want to hear. 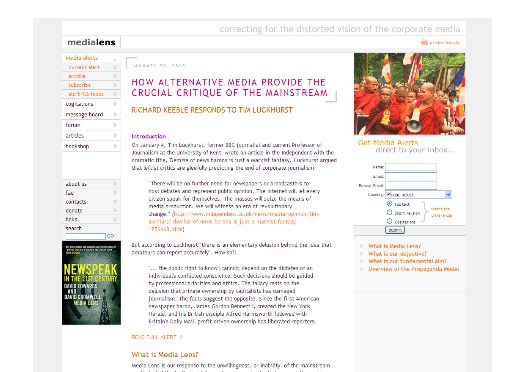 McWilliams also extols Lee’s talents as a communicator without making any distinction between declaiming news realtively unchallenged as a broadcaster and media analyst – and the sort of communications skills required to be an effective politician at all levels – a very different context and one in which there is no guaranteed, mute audience the other side of a camera and microphone. George Lee completely overlooked the need to communicate with his constituents before quitting politics. Over the last few days what has struck many people is his inability to convincingly articulate the problem he believed he faced and why he did not have the wherewithall to confront it in some other more constructive way. McWilliams makes no mention of the 27K voters who put George Lee into the Dail. The omission is all of a piece with his contention that Lee’s singular personal brilliance should have been enough for everyone – an immediate pass to high office and influence, as if nobody in the Fine Gael party could possibly be his equal or warrant consideration and respect for their prior experience. As an admirier of David McWilliam’s honesty and courage in other contexts, it is impossible not to notice his over-identification with Lee in this matter. McWilliams admits that possibility as he does the similarity of interests and background but swears none of that is relevant. Some people are just better at football, he says. Only this isn’t football. This is a discussion about all of us and game analogies don’t have any bearing on this. We want politicians to remember from whom they derive their authority and to act accordingly. This almost never happens in Irish politics and it is by far the biggest part of why Irish politics are failing and are doomed to go on failing no matter which of the mainstream parties get into power. If McWilliams and Lee are interested in genuine reform then accountable representation ought to be their first priority. Instead both have taken a high handed attitude to Lee’s electors – in Lee’s case only communicating with them minimally after the fact. In short, there is nothing at all to distinguish either Geroge Lee or David McWilliams from the very people and system which they profess to want to reform. Did his voters freeze George Lee out? Mark Little, formerly of Prime Time, wrote warmly about his friend on his blog. He was clearly upset and disappointed – and convinced of the fate of George Lee as described by Lee himself. The Fine Gael leaning Irish Examiner had two editorials in as many days on the subject with dark words of reproach for Enda Kenny implying that the loss of George Lee alone was some sort of potentially fatal blow to the pro-corporate ‘reform’ agenda of which the paper is so fond – and warning Kenny that his own future was now in the balance. Was George Lee really and truly all that significant? Surely some sort of perspective is wanted here? George spent the entire day on the airwaves on the day of his resignation and to be fair to the broadcasters, most of them stayed reasonably neutral when it came to questioning him about his decision. The astonishing thing was the wall to wall, high octane coverage of what was, in stark cold reality, not at all a major political event – interesting and surprising though it was. As one letter writer in the Irish Times put it, how could it be that the resignation of a junior TD could eclipse the announcement that the INLA had given up its weapons? Pat Kenny dropped the planned Frontline programme and gave the show over entirely to the George Lee story. And to be sure, the cult of the celebrity so assiduously cultivated in Ireland by the media played its part in generating a big response from the public who were phoning into Joe Duffy’s Liveline, Eamon Keane’s Newstalk and other programmes in big numbers, whipped up by relentless, excitable announcements. The day’s news was shaped by this emphasis and the public had no choice but to go along with it in the absence of any control over how it was presented. Fionnan Sheahan, Aine Kerr and Fiach Kelly launched boldy into a piece on the frontpage of The Independent the next day, 9th February, with the assertion that ‘Goerge Lee was frozen out by Fine Gael leader Enda Kenny’ because of tensions between Lee and Richard Bruton. The Indo devoted more than 12 pages of commentary to the issue on that day. Even allowing for the possibility that the generally pro Fianna Fail paper was seeking to maximise Fine Gael and Enda Kennys’ embarrassment over the issue, this amount of coverage was absurd. I’m putting a large bet on the proposition that the sky will still be where it normally is in a couple of weeks time and that the many able if unacknowledged people who are actively dedicated to political reform in Ireland will still be doing what they do long after George Lee has taken up residence in Washington DC or wherever he is bound for now. In a recent episode of TV3’s ‘Taoiseach’ Matt Cooper was challenged by John Waters about the media’s abject failure to go after Charles Haughey and his disastrous culture of corruption when he was in politics. As one of the journalists who believes his profession lives up to its claim to be the guardians of democracy, Cooper was apoplectic. Without being able to point to exactly how the media had done the great job Cooper claimed they had other than to say ‘everyone was talking about it at the time’, he shouted Waters down until the point went away – dismissing Waters’ observation that there were hundreds of corrupt politicians about whom nothing at all was being said. Either then or since Waters might have added. Cooper is apparently oblivious to the fact that Haughey was able to continue unhindered in power for a very long time despite the timid commentary and reporting unfolding in the news media. For him there is no brooking any possibility other than that the media is beyond reproach – merely scratching the surface of the rotten nature of Irish politics is more than enough to make him feel satisfied with his profession. Matt Cooper was one of the panelists at the UCC Journalism Society’s 2010 conference at which I also spoke. He was mightily affronted by what I said. Rising to the full magisterial height of his celebrity journalist status and casting as much scorn as he could muster from way up there, he proceeded in every utterance to personify all the characteristics of the intellectually embedded creature of mainstream media that I had just attempted to describe: he has been in journalism for 22 years and loves it; there is no problem with journalism beyond what can be explained by ordinary human failing; there is screeds of investigative journalism and the establishment are regularly being held fully to account by journalists like himself. Didn’t they get Ray Burke and Michael Lowry? Safe in the knowledge that he could deploy a sort of sneering condescension at the third pannelist – UCD lecturer and socialist Kieran Allen – Matt invited the audience to share his woefully cliched quips about Allen’s perspective and the left in general. Apparently it was a given for Matt that people would find this stuff amusing, thereby revealing an extraordinarily unbalanced and biased attitude towards leftwing politicians and politics. I only wish I could have filmed his response in advance and used it as exhibit A in making my case. I don’t think too many people present were fooled by Matt Cooper’s failure to engage either intellectually or substantively with what Kieran Allen or I had said. 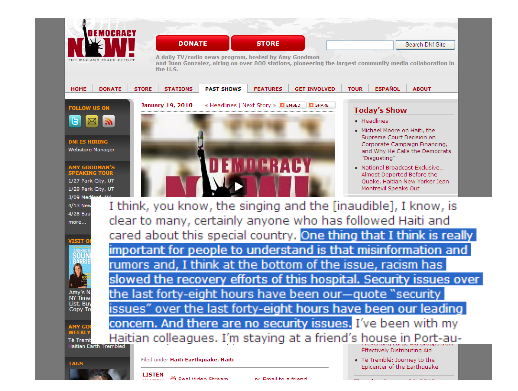 Allen had pointed to the heirarchical nature of journalism as also being a core problem. Matt seemed to think that because he couldn’t conceive of a workable alternative to that arrangement, none could possibly exhist. ‘There has to be a filter’ he said, writing off the entire field of citizen journalism at a stroke. And who better than your well-paid, business studies graduate self to filter the news, Matt? I would like to thank Siobhan Meehan, Mark Khan and the UCC Journalism Society for inviting us to speak at this conference. I don’t have time to do more than offer what I hope will be food for thought. If anyone would like to explore what I have to say further, the topics I’ll discuss are substantiated in much greater depth on the MediaBite website, where you can also find interviews, articles and a blog to offer your own thoughts and comments. The former Progressive Democrat Geraldine Kennedy, now Editor of the Irish Times has said it is the role of her newspaper to ‘lead and shape public opinion’. It’s a strikingly paternalistic statement and one that clearly reveals the attitude of the newspaper to its readers. Who wants to have their opinions shaped for them? Are we not to be trusted to do that for ourselves? 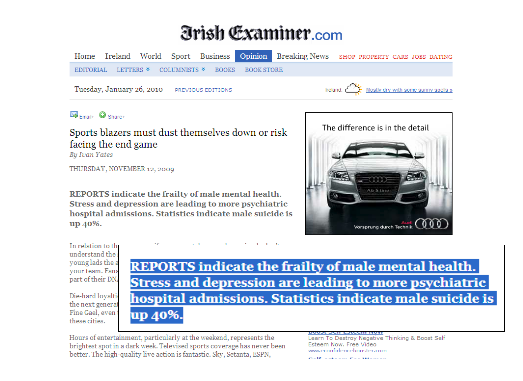 The Irish Times enjoys a reputation as the most liberal of all our newspapers. It is thought by some to be left wing, but as its deputy editor Fintan O’Toole has acknowledged in an interview with MediaBite, the Irish Times has in reality never been a leftwing paper. It has of course strenuously championed more liberal social causes from time to time such as equality for women, the right to divorce and such like. But fundamentally it is a conservative newspaper where economic and political issues are concerned. Fintan O’Toole himself, along with Lara Marlowe and Michael Jansen are among the few exceptions there that prove the rule. Though we generally consider ourselves immune to media manipulation, we tend to have more faith in what we read and hear in what are considered to be the respectable media. But who and what are leading and shaping these media? With few exceptions journalists don’t tell outright lies. They say they are concerned with striking a neutral and balanced position in reporting events so that all perspectives and views are evenly represented. Should we accept that journalists always succeed in applying the highest standards to their work? Given the importance of what they do should journalists and journalism be more accountable? These are questions with which many ordinary people and groups are now engaged and which have prompted me and my fellow editor David Manning to establish our voluntary, not-for-profit media monitoring project MediaBite. We contend that far from serving the interests of society, the mainstream media has not just let us all down, it’s now almost inextricably bound-up in many of the most serious problems which the world faces… and that’s what I have planned to discuss here today. There are a number of factors at play which impinge on the ability of the media to operate as a ‘check and balance’. Firstly, the corporate environment within which the news media operate and the extent to which they are dependent on advertising in order to survive. This is a relationship which is destined to result in compromise. There is also the bottom-line orientation of media corporations owned by wealthy individuals and even larger parent companies, and the dependence on subsidized news from government and corporate sources. There is the relationship between the political establishment and the corporate sector and the knock-on effects that has on how journalists report what politicians are doing – all these things need to be considered too. Journalists often speak of the ‘firewall’ that is supposed to protect editorial decision-making from external influence. But is that firewall in reality more like a ‘revolving door’ between journalism, government and big business – with journalists, politicians and business executivess moving seamlessly from columnist to consultant, and back again? Take for example the Irish Examiner’s columnist Terry Prone, who was for a long-time a PR consultant for Fianna Fail and to various government departments throughout the Ahern era. When the revelations about Taoiseach Bertie Ahern’s acceptance of substantial undeclared cash payments came to light in recent years Prone was insistent that the fuss about it was unnecessary, even prurient. I don’t mean to suggest that she was motivated by anything other than her own genuine convictions, but how much more difficult for her would it have been in her circumstances had she taken the opposite view? At the time, she devoted three columns in the Irish Examiner alone to defending the Taoiseach without once declaring her professional association with Ahern and his party. 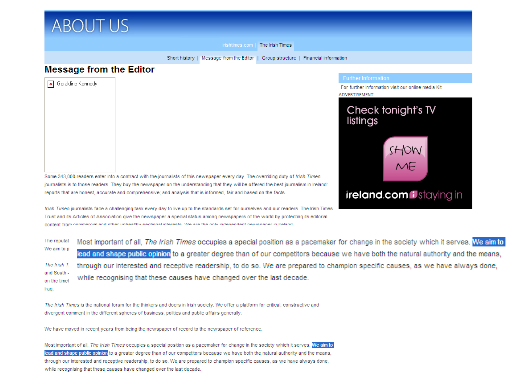 More recently Ivan Yates, the fromer Fine Gael front bencher, and now a radio broadcaster at Newstalk has repeatedly and insistently written in his column – also in the Examiner – about the urgent need for cuts in social welfare and public sector pay to serve the interests of what he and so many journalists religiously refer to as ‘competitiveness’. That’s pay cuts to you and me. Yates has done this unblushingly while arguing at the same time for the maintenance of subsidies to the horse racing fraternity from which he makes a comfortable living as chairman and managing director of Celtic Bookmakers. In one particularly memorable column just before the last budget Yates even juxtaposed his support for horseracing subsidies alongside comments about how such activities might help address the problem of male suicide. Ivan Yates is a good writer and I don’t mean to imply that he never makes sense – far from it – but the essential, impenetrably pro-corporate character of Yates’ punditry is typical of our political, economic and media elites. As we all know, while cutting benefits to disabled people and their carers among many others, Brian Lenihan saw fit to retain horseracing subsidies keeping the Ivan Yates of the world very happy. In contrast to Ivan Yates and other columnists at the Examiner, and like all the other broadsheets, the paper offers no comparable space to an equivalent voice from the public sector, the trade unions, the low-waged or the unemployed to take just a few examples. There is no comparable space for the majority in other words. At the Irish Times dissenting voices have certainly been given space to write very critically of the government. 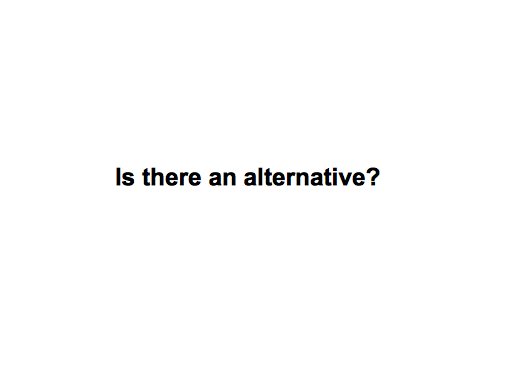 However, their Senior Political Correspondent Stephen Collins, and most of people writing there about it repeatedly insist or imply that there is no viable alternative economic approach to the crisis other than the one which the government has taken. This is evidenced among other omissions by the absence of discussion about the idea of a ‘stimulus package’ similar to those implemented in numerous other countries – a discussion that is still being had in economics circles. And yet the Irish media has been spectacularly incompetent at providing balanced coverage of alternative strategies. Following the recent budget, which focused almost entirely on cutting public sector spending, specifically spending on social welfare and public servant pay, the overriding sentiment in the Irish Times, along with the Independent and Examiner, was one of satisfaction. Kennedy appears not to have noticed that one sectional interest – the high end of the corporate sector – was a massive beneficiary of the budget at the expense of the majority. 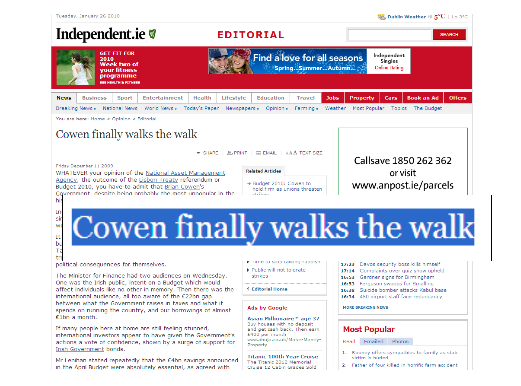 At the daily and Sunday Independents, aside from Gene Kerrigan whose presence at the paper appears to be the sole justification for the papers’ claims to being balanced, the received wisdom among the senior political journalists like Fionan Sheehan is all about how ‘tough decisions’ connote ‘leadership’, resulting in post-budget headlines such as ‘Cowen finally walks the walk’. Why do these journalists believe that the more outrageous and brazen the transfer of wealth from poor to rich is, the more politically astute the people are who are prepared to do this to us? Why are they so dazzled and impressed by this political behaviour? Our newspapers had a convenient if self-deluding solution throughout the fatal property bubble to maintaining their so-called editorial firewall. It was called the property section. Within its pages not one dissenting voice was ever to be read about the lunacy that was all around. In the papers themselves there were some voices calling for restraint, but those precious few were continually shouted down. To take the example of Fintan O’Toole again, he is sometimes pilloried by economic neo-conservatives some of whom can scarcely get past the fact that he is given space to express his views at all. But as with all of the successful liberal journalists in mainstream media there is only so far he is prepared to go when it comes to criticising the media. 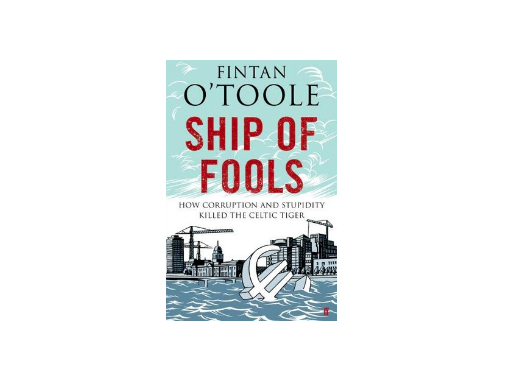 O’Toole’s recently published book, ‘Ship of Fools’, rightly apportions blame for the crisis to all those who so much deserve it. All save the one group who did most to cheer it on: the media themselves. It seems unlikely this is an oversight. Newspapers as commercial enterprises were heavily dependent on property advertising throughout this period. Can any newspaper seriously say that they were giving adequate space to reporting facts and views that challenged the status quo? If they were, is it credible that the craziness would have continued as long as it did? 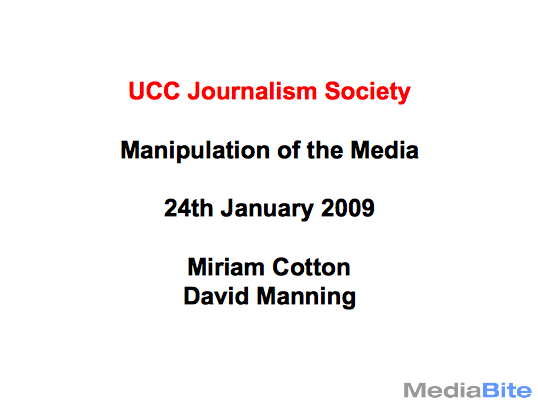 Writing in the Irish Times in April 2009 Paul Gillespie said ‘if the media are to live up to their self-proclaimed role as critics and accountants of power rather than its mere corporate stenographers, they must accept some blame for such a lack of foresight’. We are still waiting for anything remotely resembling an acknowledgement of this from any mainstream newspaper editor or broadcaster or from many of the senior editors and correspondents. Sure, the Irish Times saw fit to print Gillespie’s piece but it is staying resolutely schtum about its own culpability, made all the more conspicuous by the looming figure of MyHome.ie. 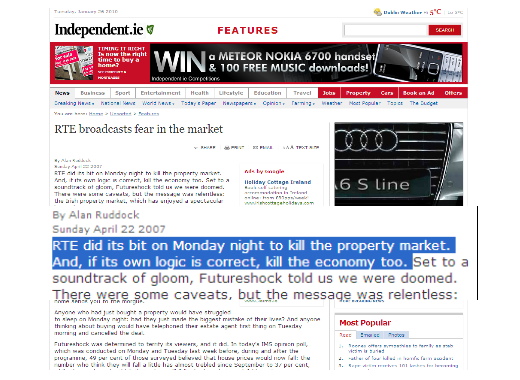 In his book O’Toole talks about an article written by the economist Morgan Kelly and of a timid programme by RTE both of which questioned the danger to the economy of the then ongoing property bubble. O’Toole doesn’t seem to realise that it is precisely because such voices were so rare that they met with such an outraged response both from their own media colleagues as much as from the vested interests their employers were economically obliged to. Somebody was audibly saying that the emperor had no clothes. 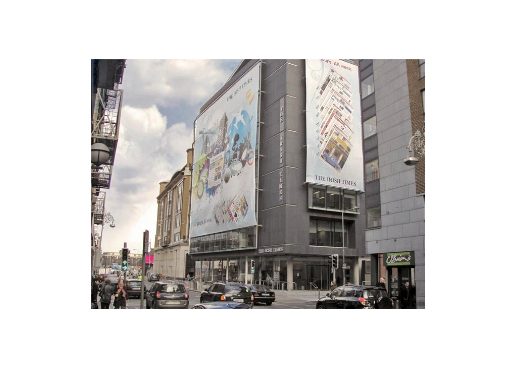 The backlash against both RTE and Morgan Kelly, who were accused of “broadcasting fear in the market,” has since evidently served as a lesson well learned by most journalists who have just behaved with as much depressing acquiescence about the appalling and highly questionable NAMA legislation as they did about the property boom. NAMA has been described by the world famous, former IMF economist Jospeh Stiglitz as ‘criminal’. I don’t mean at all to disparage Fintan O’Toole’s book, which is as funny as it is brilliantly written and ought to be on the school curriculum. It’s only failure – and it is a serious one – is not to admit the role that the media played in bringing about this crisis. So, in concluding this point, if we accept that the need to generate advertising revenue is merely one of the pragmatic facts of newspaper life, do we then simply ignore its significance to the version of society that we are encouraged to believe in? 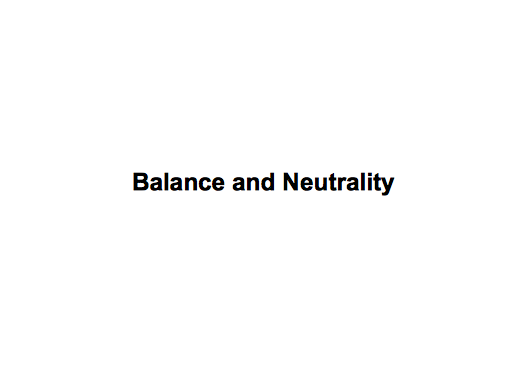 Moving away from the corporate culture of mainstream media, I’m going to say a little more now about what are called balance and neutrality. Straightforwardly, we believe that far from ensuring fairness and accuracy these notions have been the fig leaf behind which much systematic bias, inadvertent self-censoring and evasion of uncomfortable realities is disguised by journalists. Balance and neutrality have been used to insist on the highly questionable assumption that for each and every example of incompetence, corruption or whatever, there is automatically some mitigating factor that must be found, which often lessens and frequently even obliterates the stark truth – and the vital lessons that ought to be learned from it. This sort of ‘balance’ has nothing to do with accuracy. By failing to tell things like they truly are, and by consistently pulling his or her punches in the face of incompetence or corruption, journalists facilitate access for themselves to the corridors of power and big business. Once they are on board, not one of them will ever progress if they seriously rock the boat. Recently the broadcasters Emonn Dunphy and Eamon Keane were rare examples of journalists who admitted on record that this is so and that they experienced behind the scenes pressure to back off certain stories. Keane gave the example of being quite seriously pressured because of his coverage of the Mahon Tribunal proceedings. Eamon Dunphy was subjected to a highly personalised barrage of criticism after he gave evidence to the Tribunal. How many journalists have hesitated, fingers over the keyboard, instinctively aware that to write the unadorned truth of a story is likely to attract the ire of the subject of the piece? And is that not exactly what has happened to many a journalist who has put truth ahead of expedience? Marr went on to identify a key example which he claimed contradicted Chomsky’s argument, namely Watergate, the scandal that brought down a president. That Chomsky is right is incontrovertible. True investigative journalism is dead and buried. Students of journalism here today may as well understand that whatever about the availability of funding for it, if they are imagining a career spent in trailblazing, uncompromisingly honest journalism they will have to leave the country. They will not be allowed to do it. If you don’t believe me, then you should ask Joe MacAnthony who exposed the massive corruption behind The Irish Sweepstakes in the early 70’s and was dropped by the Independent on Sunday and by RTE for his pains. 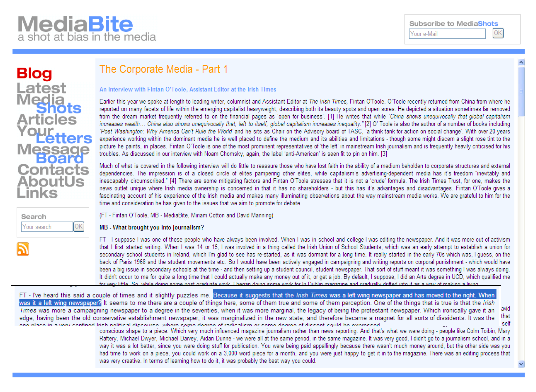 You can read an account of what happened to him on the MediaBite website. MacAnthony has gone on to enjoy a spectacularly brilliant career in Canada exposing politcal scandals that have at times rocked the Canadian establishment to its core, but he would not to this very day, and to the utter disgrace of the media establishment here, be considered for a position in our quality media. Joe MacAnthony has tried to find work back in Ireland over the years, but to no avail. The treatment of Frank Connolly is another case in point. No country could be more badly in need of the Centre for Public Inquiry which Frank established with backing from the wealthy American philanthropist Chuck Feeney. Connolly was investigating developer corruption and the merits of the Corrib Gas project in County Mayo, having shown that there were indeed serious safety issues and concerns about the plans for the proposed refinery and pipeline. He was rocking big boats. Then the former PD leader Michael McDowell accused him under cover of Dail privilege of involvement in IRA activity in Columbia. Bertie Ahern – a man of true integrity – sought a private audience with Chuck Feeney at the same time after which Feeney withdrew his vital funding for the CPI. Many of Frank’s media colleagues, rather than protesting a naked attempt to silence a potent critic instead turned savage on him – unconcerned with the significance for Irish journalism of what was happening to him. No legal case has ever been made against Frank Connolly but his reputation was seriously damaged and McDowell was clever enough to make sure that he did the damage in such a way that ensured Connolly had no redress. Connolly is the only Irish journalist in present times who has been prepared to undertake genuine, painstaking long-term investigative journalism. He is now working as PR Director for a trade union. There is no profit to be had from telling the truth. Profit should have nothing to do with it and so long as it does people will continue to experience inequality and suffering that a truly independent news media could help greatly to prevent. “With regard to the professionalisation of journalism, American physicist and writer Jeff Schmidt shows how professionals throughout society, journalists included, come to promote the agenda of the powerful without awareness. Schmidt points out that professionals are trusted to run orgnaisations in the interests of their employers. Clearly employers cannot be on hand to supervise every decision and so professionals have to be trained to ‘ensure that each and every detail of their work favours the right interests or skewers the disfavoured ones’ in the absence of overt control. Thus the whole process of promotion, selection, training and even qualification, Schmidt argues, has evolved so that professionals internalise the basic understanding that they should ‘subordinate their own bleiefs to an assigned ideology’ and not ‘question the politics built into their work’. Schmidt says: ‘the qualifying attitude, I find, is an uncritical, subordinate one, which allows professionals to take their ideological lead from their employers and appropriately fine-tune the outlook that they bring to their work. We contend that this is exactly the prevailing state of affairs where mainstream news is concerned. Look at the state of the world right now – global economic, environmental and military disasters are threatening our very existence. And yet the media continue to rationalise western wars of aggression and resource theft, climate change deniers and the manifest failings of ruthless capitalism. Even natural disasters can be turned to its advantage as can be seen quite plainly in the coverage of the earthquake in Haiti. Under our very eyes what Naomi Klein calls ‘disaster capitalism’ is finding its feet there. A compliant media has over the last 50 years and longer scarcely demurred about a series of ruinous US interventions in Haiti which have seen the infrastructure destroyed and the population rendered into abject poverty with earnings averaging a pitiful $2 dollars a day. On the back of this natural disaster an opportunity to press their advantage home has arisen for the US. And so, a military invasion is under way dressed up as being a part of the rescue operation. Sending soldiers in is said to be necessary because of the alleged lawlessness and criminality of the Haitians themselves. Thus a middle aged man clutching a box of baby milk formula shown handcuffed and lying in the dirt with a US soldier’s foot on his back is alleged to be a ‘looter’ rather than the desperate victim of a natural disaster trying any way he can to feed his family. 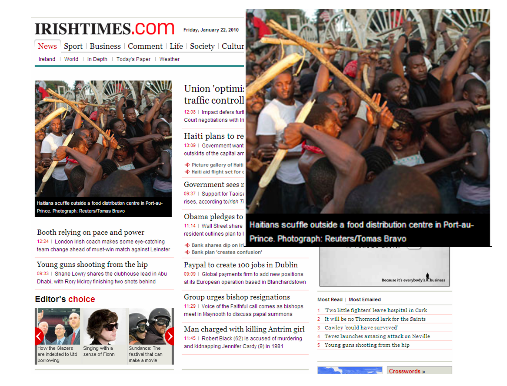 There are countless references to this alleged Haitian tendency towards violence in the press. With ‘machete wielding scavengers’ mingling with ‘violent looters’ in ‘gang-ridden slums’ dominating the media narrative. According to doctors working the field, this “misinformation and rumor” has actually “slowed the recovery effort” and no doubt contributed to the hardship and suffering. Is there a way around all of this? The internet and its associated global network of citizen journalists are now mounting a serious challenge to the mainstream media. which is a great positive and potentially a real opportunity for the whole of humanity. We no longer need journalists to tell our stories or to assume responsibility for relating events that concern us all. Journalists no longer monopolise the telling of the truth. Indymedia Ireland, which is part of a global network of hundreds of citizen journalist websites has been a big success and is one of the most used and popular of any of the Indymedias around the world. Gavin Sheridan and Mark Coughlan, two freelance journalists have set up the invaluable website The Story.ie which is dedicated to scrutinising the activities of our public representatives, once again making the prospect of real investigative journalism a reality in Ireland. There is also Trade Union TV, and Dublin City Community TV who are broadcasting events from within communities who run the stations for and by themselves. Sadly, the response of many in the mainstream media to these developments is one of extraordinary condescension, behind which a good deal of fear is lurking too. To conclude this short talk I would just like finally to observe where we at MediaBite believe all of us as ‘consumers’ of mainstream news have been left in all of this. I use the word consumers rather than readers deliberately because it is a commercial relationship from start to finish. Assuming that any of them actually care, which is a moot point, if politicians are wondering why we have become so disengaged from politics then they should understand that it is almost certainly because of the detachment at the heart of the way our world is presented to us by the media. It might be compared to processed food. It’s as if the facts are taken by journalists and by virtue of being processed and rendered down into professional journalism to satisfy editors, proprietors and advertisers, what we are left with is something that looks like the thing it is supposed to be but which has been utterly denatured and stripped of its vitality and essential worth. There have always been brilliant journalists who have managed to resist the pressure to conform and many who have been extraordinarily courageous in war zones and elsewhere. But as has been said above, those who have been fearless about the truth are in a very small minority. As ordinary people, outside the tiny locus of the often highly selective letters pages and of the phone-ins we’re pretty fiercely discouraged from commenting and getting involved in the mainstream media at all. We read it and watch it only to be told what to think, according to Geraldine Kennedy who is at least I suppose to be thanked for being honest about what she believes she is doing.